﻿ What are the house mice mating habits? What are the house mice mating habits? The mating habits of mouse mice are rather interesting in the case of wanting to know more about the subject for a variety of reasons. The first thing to know, is that most mice already begin to mate at six weeks of age, while they only reach sexual maturity at about 21-30 days of age. More importantly, house mice have a polygamous mating system, meaning that each male mates with multiple females. Concerning the mating behaviour of males and females, these differ considerably. Male house mice would typically entice females by singing distinctive “ultrasonic” mating calls, sometimes accompanied by the male sniffing and following the female around. This explains that males can be induced to emit these calls by female pheromones. These calls would continue throughout the mating session, at which time the calls corresponds to mounting behaviour. Although the male mating call is distinctive, it can be tricky to discern between individual mice, in much the same complex way as bird sounds. Although the female does not typically do so during mating behaviour, she too is equipped with the same capability to produce ultrasonic mating calls. Following copulation, female mice will normally naturally develop what is called a “copulation plug”, which prevents further copulation for at least another 24 hours. The breeding season of house mice lasts throughout the year, and females are able to produce an average number of 7 tiny mice, with 5 to 10 litters each year in the case of favourable conditions. The pregnancy would typically last for a minor 19 to 21 days, which makes possible for the mouse population to reproduce at such stunning and alarming rates. 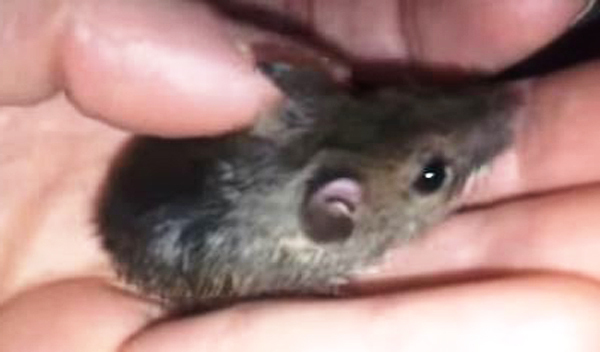 At the time of birth, one baby house mouse typically weighs about 1 gram. These little creatures are born blind and initially without any hair or ears, yet they develop very quickly from their first moments on earth onwards. The ears are already fully developed by the fourth day and at the 10 of age, their furs will be almost fully grown out. At 14 days of age, they open their eyes for the first time to see the light of day, or night. The young baby mice are nursed throughout these short developmental stages for another 21 days until they reach adulthood at around 6 weeks of age- which is incidentally also the exact time when they themselves start the cycle of life all over and begin to mate. When the baby mice reach an age of 21 days, they are ready to be weaned away from their mothers and enter the great unknown, so to make friends and further reproduce. Other key reproductive features of mice include that they are gonochoristic, meaning that ‘sexes are separate’. Go back to the How to get rid of mice home page.